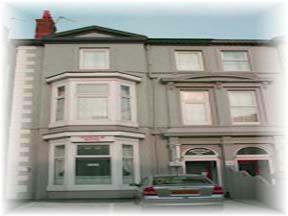 It is the aim of the Astor Hotel to provide quality service and value in a welcoming and relaxed environment. It is of uppermost importance to us that all of our customers leave us content and planning to return. The cosy lounge bar is an ideal meeting place and the perfect setting for pre-dinner drinks. Our restaurant is famous for its exclusive international cuisine, as well as traditional English fayre and a good selection of wines. In the heart of London, less than 750 metres from Victoria Station, this recently refurbished, family-run hotel offers comfortable, great-value en suite rooms and traditional English breakfasts. The Melita House Hotel has a convenient location, just 5 minutes' walk from London Victoria Station and with easy access to the city's trains, coaches, buses and the London Underground network. There is a TV/reading lounge with a 42-inch plasma flat-screen TV. 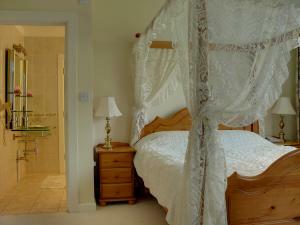 Each room has an en suite bathroom with a toilet and shower. All rooms have telephones, digital safes, refrigerators, work desks and satellite TV with CNN, CNBC, Sky News, Rai Uno, TV5, TVE and RTL. A full English breakfast is available each morning. Established in 1972, the Melita House Hotel is still owned and managed by members of the Gabriele family. Great pride is taken in treating each guest as an individual and on creating a warm and friendly atmosphere. 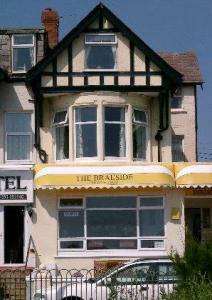 The Golden Pheasant has been providing accommodation to weary travellers since the 18th century. 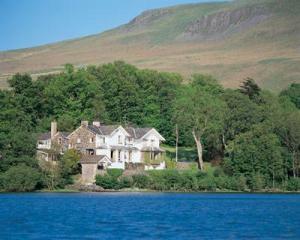 Today it offers en suite rooms and really good food. 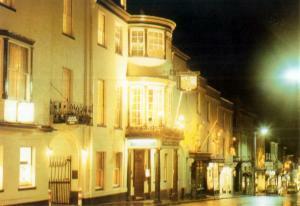 The Golden Pheasant is located in the heart of the Oxfordshire town of Burford, 18 miles (29 km) west of Oxford. Cotswold stone forms a perfect backdrop for this privately owned hotel. Enjoy unique meals expertly prepared using excellent local ingredients. A well-known local landmark in the centre of Dorchester, The Best Western Kings Arms has excellent rooms with en suite bathrooms. The Best Western Kings Arms Hotel was built in 1720 and has many interesting and classical Georgian features. Many monarchs have stayed at the hotel, including Queen Victoria and King George IV. More recently, the Beatles and Rolling Stones were guests! 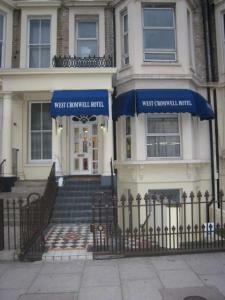 The Best Western Kings Arms has totally non-smoking standard and superior bedrooms, 2 conference rooms and a bar. Close to the Deansgate area of central Manchester and within walking distance of the G-MEX Centre, these designer apartments offer stylish accommodation and free Wi-Fi. 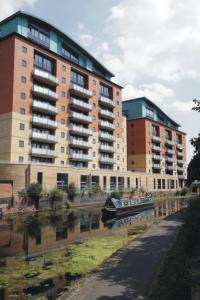 These Medlock Apartments are on Whitworth Street West, around 500 metres from Manchester Oxford Road Railway Station and a short walk from Piccadilly Gardens and Piccadilly Bus Station. The surrounding area is home to some of the best restaurants, bars and clubs in Manchester. 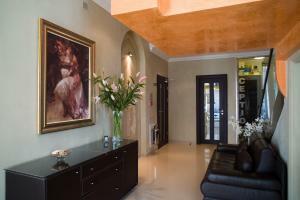 These 1-bedroom apartments offer modern designer accommodation with stylish wooden floors, modern artwork, deluxe furnishings and bath/shower rooms. Every apartment has a 37-inch high definition LCD flat-screen TV, a DVD player and a fully equipped kitchen with a dishwasher and a washing machine. 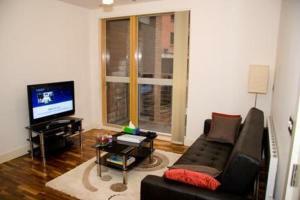 The Whitworth Street apartments are owned and operated by Medlock Apartments. 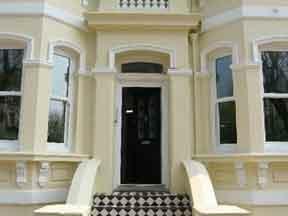 Family run for 25 years, the New Wilmington Hotel is a quality, AA 3-star hotel, close to Eastbourne's seafront, town centre and theatres. There is free, unrestricted on-street parking and free Wi-Fi. All bedrooms at the New Wilmington are en suite. There are ground-floor rooms and a lift to others. Secure parking garages are available if needed. There is a private lounge and bar, with regular entertainment in the evenings, including live music up to 4 nights a week. The 80-seat, air-conditioned restaurant offers traditional home-style cooking. As well as continental and full English breakfasts, there are packed lunches, excellent-value lunch snacks and evening meals. The Sunday lunch attracts diners from around Eastbourne and East Sussex. The New Wilmington is ideal for those attending any of Eastbourne's annual events, including the international tennis tournament and the 'Airbourne' air show. Conveniently situated near Hyde Park, Grade II Listed Princes Square Hotel offers AA 3-star accommodation, a 5-minute walk from Bayswater and Queensway underground stations. 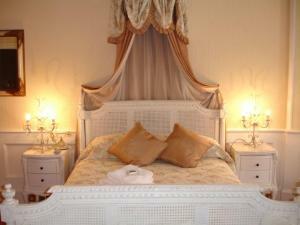 All rooms are comfortably furnished, with en suite facilities and satellite TV. 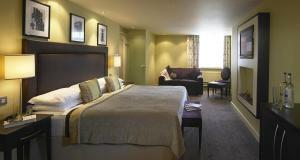 Princes Square Hotel also offers elegant Deluxe Rooms, with stylish interiors and a flat-screen TV. Guests may enjoy an inclusive continental buffet breakfast in the dining room. 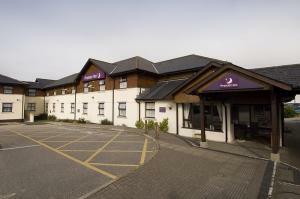 The hotel's location provides good access to Paddington Train Station and the Heathrow Express service, which offers a 15-minute journey to Heathrow Airport. This Comfort Hotel is within a few minutes walk of Central Beach and many other exciting attractions; popular with both business and leisure guests for short breaks. 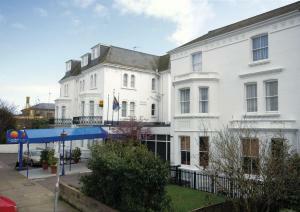 Situated in the heart of Great Yarmouth, you are close to all the fun you could need in a break by the sea. There are comfortable public areas as well as attractive rooms and gardens. The Lookout bar has been refurbished, and during the evening it is the perfect place for a pre-dinner drink or night cap, in the company of friends or family. This small family-run hotel is centrally located in the Royal Borough of Kensington and Chelsea, one of only 4 Royal Boroughs in the country. 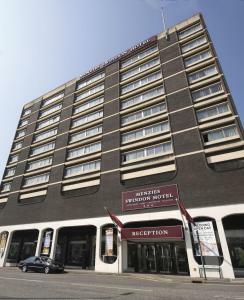 With 21 recently refurbished rooms (2007), the hotel is within easy reach of the areas main attractions, including: Kensington Palace, with its magnificent gardens; Albert Memorial and statue of Peter Pan; Kensington Gardens; the Albert Hall; Science Museum; Geological Museum; as well as the Victoria and Albert Museum and the Natural History Museum. Hyde Park, with its 340 acres of Royal Parkland and Serpentine Lake is also found nearby, where, during the summer, you can enjoy fishing, boating and swimming.